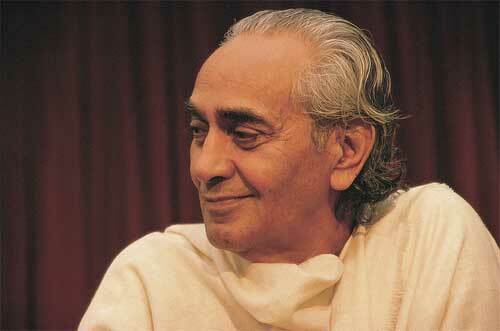 Swami Rama (1925 - 1996) was a spiritual Guru who unravelled the wisdom of ancient Gurus. This is a collection of Swami Rama Quotes mostly from books. You are searching for something without understanding that it is within you. Search within. This is a direct approach. Do not search for God outside. God is already within you. When you come to know that God dwells within you, then your life will totally change and you will be transformed. When you have perfect control over the modifications of the mind, you will attain the highest level of consciousness or samadhi. When you practice meditation, initially you come in touch with yourself and all your thought patterns; you come to understand your inner dialogue. Then, you learn to discriminate – to select and reject; and finally, you learn how to work with yourself. Spiritual practices, undertaken at an early age, have a profound and long lasting effect. Human beings have tremendous potential provided they are taught to train themselves on all levels – physical, mental, and spiritual. Let us teach our children how to become aware of themselves on all levels. With a calm and one-pointed mind, children can obtain a glimpse of true peace and happiness. If you really want to examine your strength, see how many times in a day you are disturbed. All the things of the world belong to God though they are for you. Enjoy them, but never forget that they are not yours. Time is greatest of all filters, and ideas the best of all wealth. Meditation can introduce you to yourself. Discipline is guiding the power in you, not depressing it. Desire is the very root of all miseries. So you must become desireless by maintaining the Here and Now by constant awareness. Remember the center of consciousness within you. When you are able to lead your mind to this state of desirelessness, then it is considered to be real meditation. Those who live for the welfare of all are sustained by the Self of all. Before you hear the voice of cosmic Truth you must hear the voice of silence. Best of men is he who lives in the world, but remains above. Karma is our own making. What we experience today is the result of what we have created in our past. So, too, is our future of our own making. Words are subject to limitations, whereas Supreme Truth is beyond words. Each person creates a stage, a laboratory or a drama to penetrate the debris covering the Atman. The day will come when we will realize our true identity as both the one who is watching the drama and the actor. Then there will be true understanding and oneness. Words are subject to limitations, whereas God, Self or Consciousness are beyond words, beyond the limited mind and intellect. As soon as God is considered and defined by the limited mind, God becomes limited. The treasure is buried under layers of ego, desires, emotions, habits and other imbedded thought patterns. Atman, the individual’s real identity is waiting within. It takes nothing more than the realization of this fact to truly know it. Just be awake to it. Let me assure you that Enlightenment is not something that dawns all of a sudden. There is nothing called instant enlightenment. Many of you think that a guru comes and blesses you and you get enlightenment. This never happens. Many people would like to be enlightened in a second’s time without having to do any preparation. In the path of sadhana, preparation is very necessary. Preparation does not mean making any physical effort. Preparation means becoming aware of another level of consciousness. Consciousness does not dawn all of a sudden without sincere efforts. If you are tired of efforts and if you do not know what to do next, then grace dawns. The greatest power in the world is the divine power of grace. This happens when you are prepared, when you have done your duties properly, and you have completed all the preliminaries. Grace comes and fills the gap you find in human life…That grace comes when you use all your human efforts. The journey to the rediscovery of the real Self is the goal of life. One who has rediscovered his own real Self, can then realize the Cosmic Self who encompasses the entire universe. The purpose of life is to grow, expand and completely realize one’s own true identity. Life is a drama. We compose and create the dramas that are enacted across the globe. The goal of life is not the drama that is being played, rather the lesson that it offers. Every human being is the playwright of his or her own drama but wrongly believes that it is the ultimate drama instead of a play momentarily enacted for a desired result. Life is a play and if one misses to understand the lessons of life, one experiences a great deal of sorrow. Let me assure you that samadhi is not something that dawns all of a sudden. There is nothing like instant samadhi or instant enlightenment. Many of you think that a guru comes and blesses you and you are in samadhi. This never happens. Many people would like to be enlightened in a second’s time without having to do any preparation. If someone has the power to awaken the dormant power of shakti, the primal force of kundalini, how are you going to handle it if you are not prepared? The teachings of the Bhagavad Gita help one to understand the distinction between the real Self and the mere self. The mere self is subject to change and destruction; the real Self is not. The aspirant should understand both and should finally establish himself in his essential nature: Atman. Then he can live in the world without being affected by it. In the domain between the real Self and the mere self lies our Antahkarana (internal instrument), which plays a most important part in both our internal and external life. If not understood, both goals of life – living in the world and Self-realization – are defeated. Our psychological life needs profound and deep study if we are to free ourselves from the quagmire of emotionality, egotistical preoccupations, and self-delusion and if we are to realize our fullest potentials for the unfoldment of consciousness.